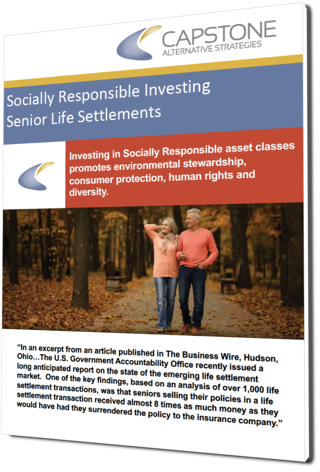 Investing in Socially Responsible asset classes promotes environmental stewardship, consumer protection, human rights and diversity. However, just because an investment has a societal benefit, it does not necessarily mean it will be profitable. Senior Life Settlements uniquely create value for both buyer and seller in very meaningful ways.